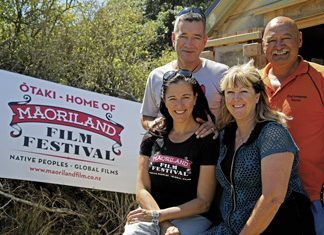 The second Maoriland Film Festival kicks off on Tuesday 24th March, finishes Sunday 29th March. Last year close to 5,000 attended screenings of 48 short films and 11 feature films. This year is even more ambitious with 120 short films, 10 feature films and 10 documentaries from USA, Canada, South Africa, Europe and Aotearoa. Letter to the mayor, KCDC: The Otaki Museum read with some concern the item about the removal of Stand Children’s Services (formerly the Otaki Children’s Health Camp) to Paraparaumu. Breaking news: Health camp stays! Who wants to save the Capital Connection? To Otaki College kids enjoying (very noisily) their sports’ day. To the three Otaki College soccer boys selected to go to Sydney. Dutchy’s Burger Joint – portable van with healthy burgers. Yea to healthy fast food! To home grown veges and those beautiful purple aubergines. To the ratbags who stole the Koru from Waitohu School. To the man laying commercial nets and poaching fish from the Otaki River. To the person poaching eels from the stream by the Quarter Acre Café. Flower garden, Fruit and vegetable garden, Lawn and ‘Second thoughts’. This golden-yellow fruit is widely known as an emblem of happiness, love and fruitfulness, and features strongly in the history and mythology of ancient Greece and Rome. Sedums are often taken for granted in our gardens. Maybe it’s because they don’t bloom till late summer or autumn, but more likely it’s because they are so easy to grow. New funding for MidCentral DHB’s already successful maternal mental health service will allow them to enhance the care being provided to new mothers. Otaki State School annual picnic. The annual picnic in connection with the Otaki State School was held at Kaingaraki Park, kindly lent for the occasion by Mr and Mrs F Kilmister, on Wednesday. Are you prepared for 6 new members of the family? Your local bureau is an independent community organisation that is here to help you with a wide range of issues. We provide free, confidential and independent information and advice. It doesn’t matter what your question is, we’ll help, and if we can’t help you directly, we’ll find someone who can. After Christmas financial fall out can push families past the point of being able to cope with all their financial commitments. Can You Help Otaki Food Bank Help Others? The Kāpiti Coast District Council has been working through a series of projects to improve the Ōtaki Wastewater Treatment Plant. Don’t miss the celebrations for Ōtaki Children’s Day on Sunday 1 March at Ōtaki Pool, 11am–3pm. 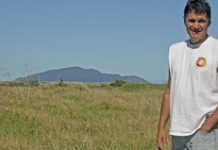 A record number of national and international kite flyers will be at this year’s Ōtaki Kite Festival on 28 February/1 March. Networking and relationship building was delivered in abundance at the Te Kura-a-iwi o Whakatupuranga Rua Mano,(WRM) garden, as they hosted notable international manuhiri (visitors) and local growers. 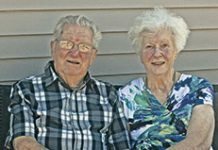 Long time Otaki couple, Reg and Val Taylor reached their 65 year wedding anniversary on January 28, celebrating with 60 plus family members on February 21. Having worked his early years on his parents’ market garden followed by a few years selling cars and then a stint in the corporate world, Lindsay Thorpe was beginning to feel a bit bored – what to do with life.